Nishino Nanase's "Another Sky" in Paris! In this episode we discover who Nishino Nanase is as a person, and learn more about her Idol life as one of Nogizaka46's aces. Huge thanks to Eiffel for translating the video and working with us to finally bring this episode to everyone! 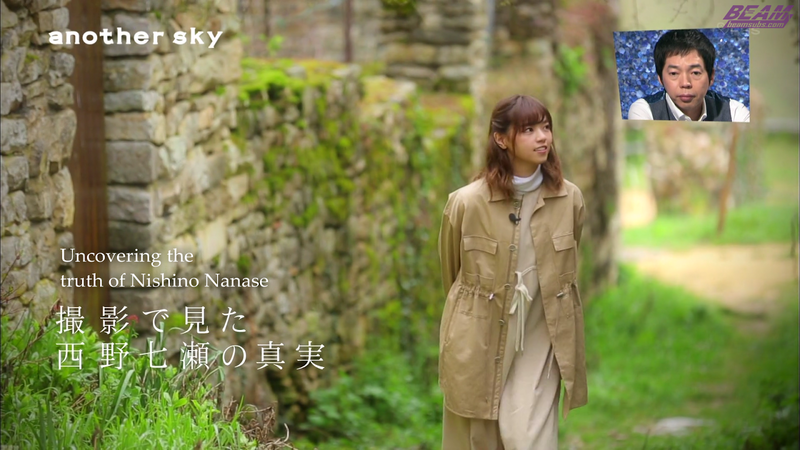 El "Another Sky" de Nishino Nanase en París. En este episodio descubrimos quién es Nishino Nanase como persona, y aprendemos más sobre su vida como una de las ases de Nogizaka46. Muchas gracias a Eiffel por traducir el video y trabajar con nosotros para finalmente traerle este episodio a todos. Thank you for the hardword! the sub is here, THIS WAITING is DONE!! Just amazing. Thank you so much! I'm probably one of only very few people who never got what all the hubbub was about over Nanase, but this translation sheds her in a whole new light. I have nothing but respect for her now. Thank you so much as always for your hard work. I love RAW because of its quality. Thank you so much! thanks a lot for the hardwork.